How do we manage our bountiful harvests of duck, chicken and goose eggs? Perfect eggs are sold through the on-line co-op directly to members who order them. 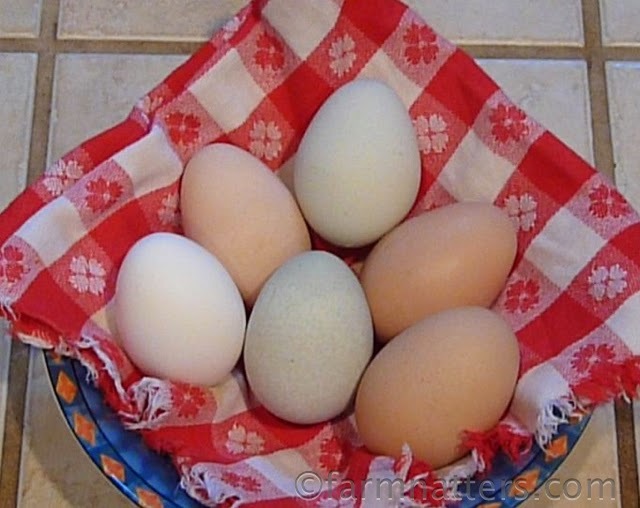 Cosmetically "imperfect" eggs (stains, odd shapes, etc.) are saved and eaten by Spouse and I. "Sketchy" eggs (thin shell, hairline crack, found in sunshine, etc.) are saved, cooked hard, and fed to the dogs. If there's ever been a time where our dogs have looked at me in utter adoration, it's been when I've topped their kibble with cooked eggs.